A new edition of the Silver Economy® and Ageing Well International Awards will take place in Tokyo, Japan, on the 13th of June 2019! Application open till the 15th of April 2019! 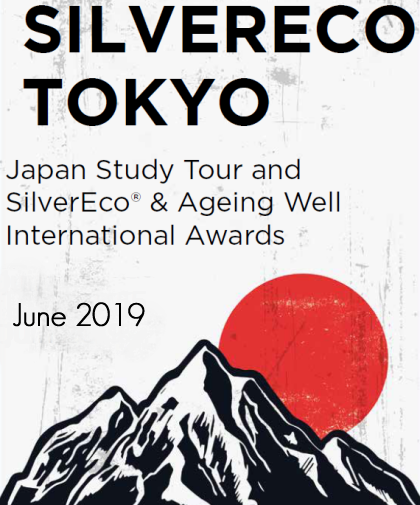 An Ageing Well Japan Tour timed to align with SilverEco & Ageing Well International Awards Tokyo edition will take place from June 11th – 15th 2019. Do not miss the unique opportunity to discover the SilverEco and ageing-well “made in Japan”!